The brothers Pau and Marc Gasol finally enjoyed the victory in the same day of the NBA, which also won the countrymen Ricky Rubio and José Manuel Calderón, who left the title. 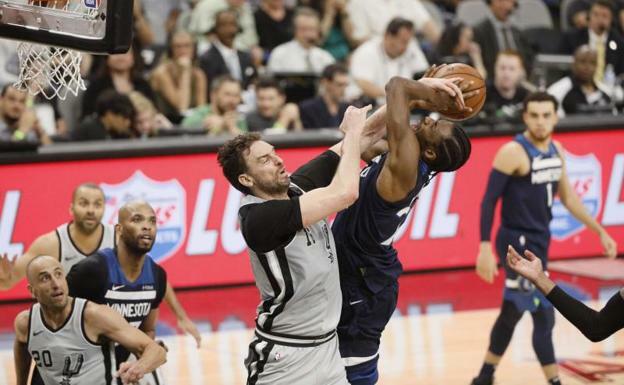 The oldest of the Gasol brothers showed that he is recovering from his right shoulder and left knee injuries and helped the San Antonio Spurs achieve the important 117-101 victory against the Minnesota Timberwolves in the fight for a job playoff in the Western Conference. Gasol, although he left to reserve, in the 24 minutes he was in the field of AT & T Center became the key player along with power forward LaMarcus Aldridge by contributing 12 points. The player of Sant Boi made a great selection of shots to the basket by scoring 6 of 10, missed a triple attempt, and did not go to the personnel line. Gasol also had a leading role in the area by contributing seven rebounds, plus eight assists – leader of the team in that facet of the game -, recovered a ball, did not lose any, put a stopper and left without personnel. His brother Marc, could finally enjoy the triumph with the Memphis Grizzlies by contributing 14 points that helped them win 101-94 against the Denver Nuggets and break the streak of 19 consecutive defeats. The starting center for the Grizzlies did not have his best inspirations, he scored 4 of 15 shots on the field, missed 5 of 7 attempts from 3-pointers, but hit 4-4 from the personnel line. The player of Sant Boi fulfilled inside the painting with six defensive rebounds, distributed five assists, recovered a ball, lost two, put two plugs and committed two personal fouls. There could not be a duel of Spaniards in the party because again the power forward Juancho Hernangómez did not enter in the official list of the Nuggets, that lose ground in the fight to be in the playoffs. 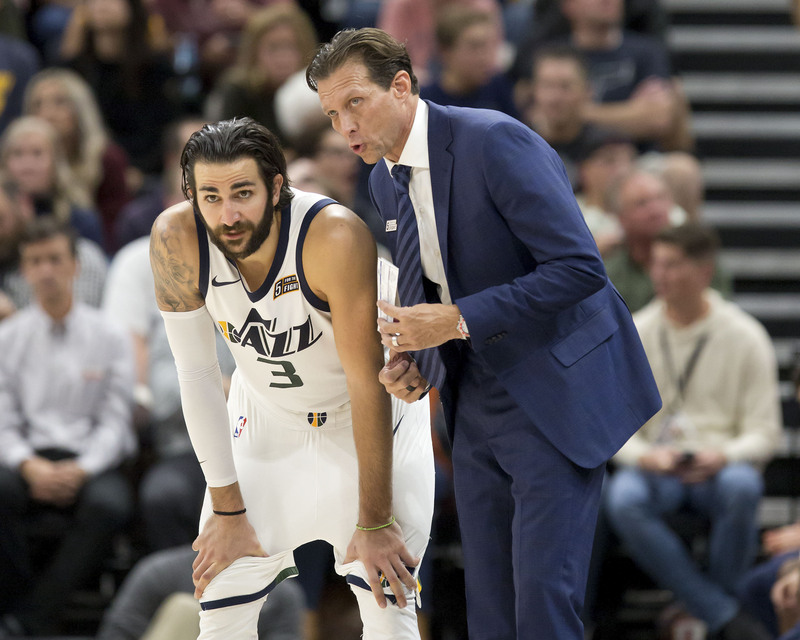 Those who win it are the Utah Jazz who again had Rubio as their starting point guard who contributed 14 points in the 103-97 win over the Sacramento Kings, the ninth in a row, which keeps them in fifth place in the Conference West with a 40-30 mark, the same as the Timberwolves and Spurs. Rubio did not have his best scoring inspiration when scoring only 3 of 9 field goals, including a three-pointer of two attempts, but he got 7 of 8 from the personnel line by being aggressive with his offensive actions. The player of El Masnou did shine within the area to capture nine defensive rebounds, in addition to distributing five assists, recovered two balls, lost three, put a stopper and ended with personnel. 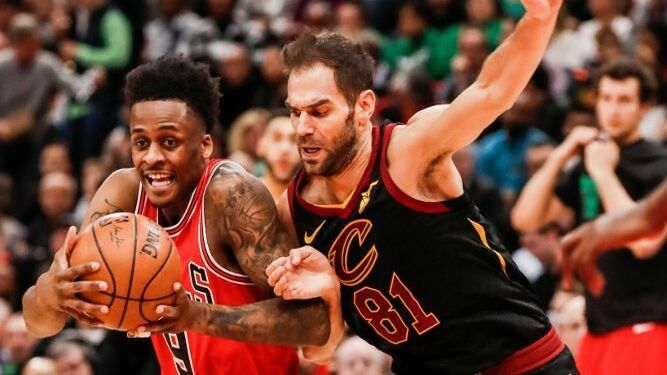 Calderón returned to start with the Cleveland Cavaliers to which he contributed 36 minutes of action and nine points in the game that won away by 109-114 against the Chicago Bulls. The player of Villanueva de la Serena always had a good selection of field goals to score 3 of 6 field goals, including 2 of 3 triples, and hit with the only pitch he made from the line of personnel. Calderón, 36, shone in the inside game with seven rebounds, including six defensives, distributed six assists and put a stopper. While the defeats of the Spanish players in the day harvested the center Willy Hernangómez, although at the individual level was the best of all to be perfect, and the Spanish power forward, Nikola Mirotic. Hernangómez played 13 minutes as a reserve for the Charlotte Hornets in the game they lost from home by 101-124 before the New York Knicks, although he contributed nine points and was brilliant in all offensive actions and within the paint. The Madrid player completely dominated the Knicks defense and scored 2 of 2 field goals, including a triple attempt, and hit 4-4 from the personnel line. In addition, he captured six rebounds, including five defensives, gave an assist and recovered a ball, which left individual vindicated to his former coach Jeff Hornacek, who allowed his transfer but could not avoid the defeat of the Hornets, who move away from the playoffs. Mirotic, who has lost again his best touch of the wrist, played 24 minutes as a reserve in the game that the New Orleans Pelicans lost 101-107 against the Houston Rockets. The Spanish international contributed seven points to score 2 of 7 field goals, with a triple of five attempts and hit 2-2 from the line of personnel. The ex-player of Real Madrid captured four rebounds – all defensive – gave an assist, lost two balls and committed two personal fouls.